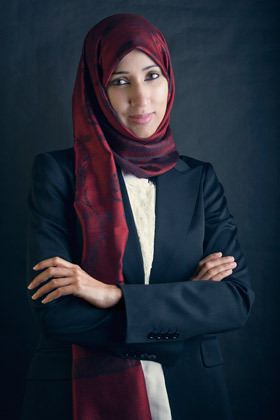 In May, a video  appeared on YouTube featuring Manal al-Sharif, a Saudi computer consultant and longtime women’s rights activist, driving her car in the city of Khobar. In Saudi Arabia, the only country on Earth where women are prohibited from driving, the video, quickly blocked by Saudi authorities, became a viral sensation. Later, Sharif encouraged Saudi women to take part in a nationwide day of driving to protest the ban, which is widely enforced but not actually written in Saudi law. The clip — and Sharif’s later imprisonment — sparked a movement. Dozens of videos of Saudi women driving in defiance of the ban have continued to appear on the Internet, the first major challenge in more than a decade to Saudi Arabia’s restrictive rules targeting women, the harshest in the world. Meanwhile, though the Saudi government has now granted women the right to vote in the 2015 elections — with permission from a male relative, of course — a woman was recently sentenced to flogging for being caught in the driver’s seat (the sentence was later commuted). Part of the reason women are increasingly defying this harsh treatment is Eman Al Nafjan, author of Saudiwoman’s Weblog , one of the most influential English-language blogs on Saudi Arabia, as well as a postgraduate student in Riyadh and mother of three. She not only amplified the driving videos and the protest on her blog, but called out Saudi authorities for setting up a fake Twitter feed to discredit Sharif. Saudi Arabia may not have seen the upheavals experienced elsewhere in the Arab world this year, but Nafjan thinks the driving protest is a sign of things to come. “There’s no denying that the country is fertile ground for a revolution,” she writes .